Energize, encourage, and equip employees to have more effective and efficient meetings in a newly renovated office full of opportunity for various types of collaboration. A new set of meeting guidelines that demonstrate behaviors and habits conducive to innovative thinking. 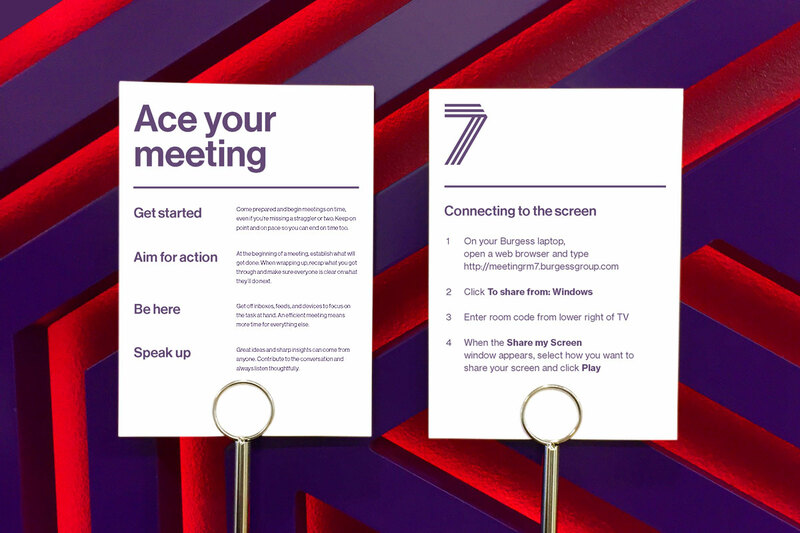 These cards were unveiled during a larger employee engagement event when employees were introduced to the new office and its new offerings for the first time, including how to use the technology in each type of space.